Since 2016 we have been steadfast in our support and trust in the work of Maser and The HunReal Issues. The Repeal the 8th mural, in all its forms, has become not only a poignant and impassioned emblem of the movement, but a brave icon of solidarity in a time of momentous and unprecedented change in Ireland. We are immensely proud to have stood behind their vision. But our work isn’t done yet. Project Arts Centre has always placed the vision and freedom of expression of the artist at the centre of our work and now, in this post-referendum world, we believe there is more need than ever to protect the future and creative freedom of our artists. We are grateful to Maser and The HunReal Issues for generously allowing us to use their art to help make this happen. By purchasing one of these artworks you will be supporting the next generation of independent Irish artists, enabling us to provide a creative space for artists and audiences alike. With your help we can ensure a legacy of work that will challenge, inspire, and can ultimately lead to change. All prints are sold framed and numbered, available as signed or unsigned editions. Both editions are limited to 100 only. 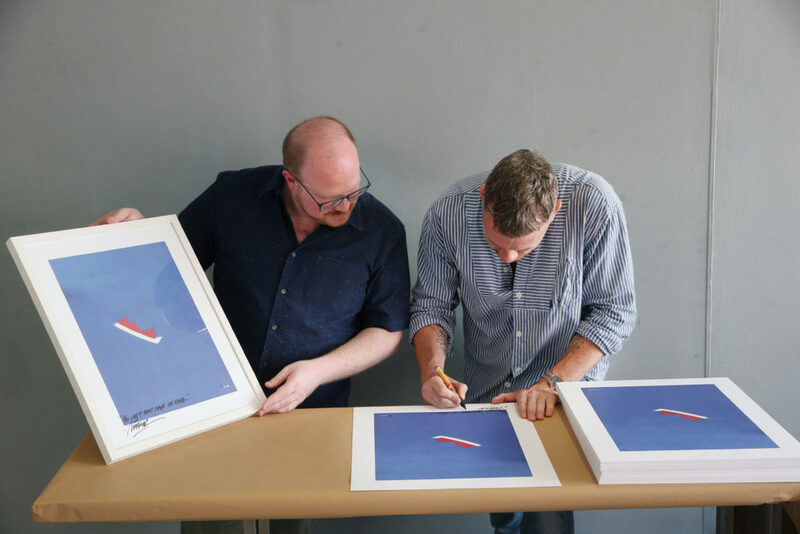 Each signed artwork is numbered, and emblazoned with the slogan ‘You can’t paint over an issue’ – all handwritten by Maser. If you choose to have your order delivered by domestic or international registered post please allow 2-3 weeks for delivery from the time of order. All orders made for collection from Project Arts Centre will be ready in approximately 1-2 weeks.